U.S. GOVERNMENT OFFICIALS ARE DEEMING THE EMAILS DELIVERED TO CLINTON’S PRIVATE SERVER A DIRECT BREACH OF SECURITY. 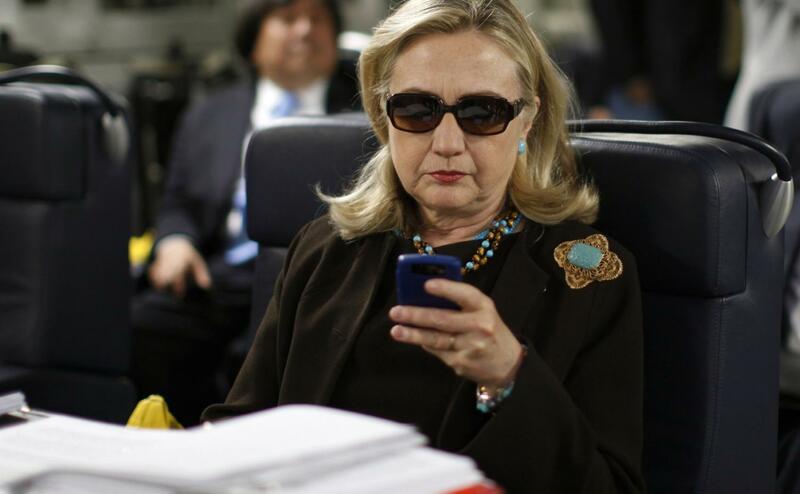 Fox News – Highly classified Hillary Clinton emails that the intelligence community and State Department recently deemed too damaging to national security to release contain “operational intelligence” – and their presence on the unsecure, personal email system jeopardized “sources, methods and lives.”… Read more. REPUBLICAN CANDIDATE MARCO RUBIO SAYS CLINTON’S DISCLOSED INVOLVEMENT IN THE EMAIL SCANDAL SHOULD LEAVE HER DISQUALIFIED FROM THE PRESIDENTIAL RACE. Marco Rubio – “If someone on my staff did what she did, you know what would happen?” he said. “They would be fired, and they would be prosecuted.”… Read more. CLINTON ALLIES AND CAMPAIGN SPOKESPEOPLE HOLD THAT THE SCANDALIZATION IS NOTHING MORE THAN POLITICALLY MOTIVATED ‘OVERCLASSIFICATION’ GONE WRONG. Washington Post – In responding Friday, Clinton’s campaign took the unusual step of criticizing the intelligence community, accusing spy agencies of engaging in “overclassification run amok.” Some Clinton allies suggested that intelligence officials were politically motivated… Read more. FORMER INSPECTOR GENERAL HOWARD J. KRONGARD SPECULATES THAT CLINTON’S USE OF PRIVATE EMAIL WAS PREMEDITATED BY THE STATE DEPARTMENT. New York Post – The State Department is lying when it says it didn’t know until it was too late that Hillary Clinton was improperly using personal emails and a private server to conduct official business — because it never set up an agency email address for her in the first place, the department’s former top watchdog says. …Read more. SOME LEFT WING POLITICAL WRITERS SPECULATE THAT THIS IS NOTHING MORE THAN A BASELESS ATTACK ON CLINTON’S CAMPAIGN. Addicting Info – Since the State Department regularly raises the status of unclassified material to the level of classified, it’s more than likely the content of these seven emails was not considered classified when it was sent… Read more. EIGHTEEN EMAILS BETWEEN CLINTON AND PRESIDENT OBAMA WERE ALLEGEDLY DISCOVERED ON THE PRIVATE SERVER, LEADING MANY TO SPECULATE ABOUT THE PRESIDENT’S PRIOR KNOWLEDGE OF THE SITUATION. National Review – Not only is it obvious that President Obama knew Mrs. Clinton was conducting government business over her private e-mail account, the exchanges the president engaged in with his secretary of state over this unsecured system clearly involved sensitive issues of policy… Read more. 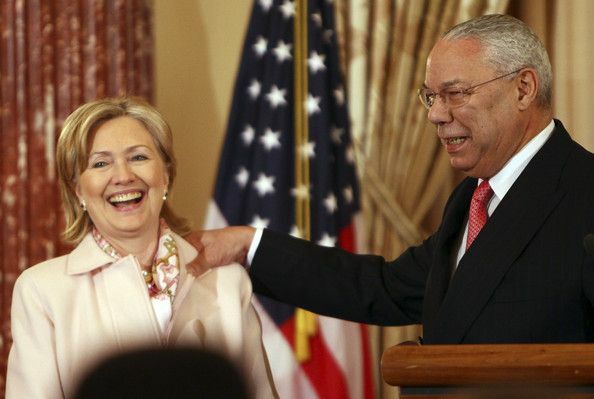 THE DEMOCRATIC FRONT-RUNNER HAS GAINED THE SUPPORT OF FORMER SECRETARY OF STATE COLIN POWELL. Colin Powell – “I wish they would release them, so that a normal, air-breathing mammal would look at them and say, ‘What’s the issue?’ They were unclassified at the time, and they are, in my judgment, still unclassified…” Read more. POWELL, AS WELL AS TOP STAFFERS FOR CONDOLEEZZA RICE, WERE REPORTEDLY SENT CLASSIFIED INFORMATION VIA PERSONAL EMAIL ACCOUNTS. CNN – “Based on the department’s responses and findings to date, additional potential classified material and/or highly sensitive information not intended for distribution may reside in the Department’s unclassified paper and electronic archives associated with Secretaries Powell and Rice and their respective staff,” a memo about the report said… Read more. FORMER MASSACHUSETTS SENATOR AND FELLOW DEMOCRAT JOHN KERRY SENT ‘SECRET’ EMAILS TO CLINTON ON HER PRIVATE SERVER. The Daily Caller – According to the Republican National Committee, which flagged the Kerry email in an email to reporters, the batch of Clinton records released on Friday contained 11 emails that the State Department now says contain “Secret” information. That’s more than double the number of emails that contained similarly classified information released in all of the previous releases combined… Read more. FELLOW DEMOCRATIC FRONT-RUNNER BERNIE SANDERS THINKS THAT CLINTON’S EMAIL SCANDAL IS A ‘VERY SERIOUS ISSUE,’ BUT DOESN’T WANT TO POLITICIZE THE PROBLEM. Bernie Sanders – “There is a legal process taking place, I do not want to politicize that issue. It is not my style… I am not going to attack Hillary Clinton,” Sanders told NBC’s Chuck Todd. “The American people will have to make that judgment…” Read more.